If you wish to enter Canada, either as a skilled worker or permanent resident, you will need to apply to the country’s Express Entry Program before you can apply for a visa. This is a way of screening potential applicants and making sure the subsequent visa approval process is as efficient as possible. To apply, you will need to create an Express Entry profile and pass a points-based Assessment that takes into account your Age, employment history, language skills and background. Candidates will be scored according to the program’s point-based Comprehensive Ranking System (CRS) which helps evaluate their overall value to the country regarding skill, knowledge, experience, etc. this will then determine their rank within the pool. Only the applicants with the highest scores will be invited to apply to immigrate to Canada as permanent residents. 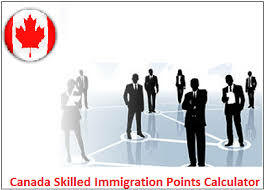 If you already have a validated job offer from a Canadian employer, you are automatically awarded 600 CRS points which are generally the amount you need to be considered for Permanent residency. The next stage of the immigration process is to apply to whichever VISA is appropriate for you. If you haven’t been nominated by a Canadian employer or you don’t have existing family in Canada, you will need to apply for entry as a Federal Skilled Worker. These are people that the government feel has the suitable skills and experience required to find employment in Canada. To apply for this visa, you will need to prove that you’ve worked for at least a year in part-time or continuous employment within the previous 10 years before your application. This work experience must fall under the categories listed by the National Occupation Classification system. Applicants will also have to score at least 67 points out of a possible 100 on the skilled worker point grid. The criteria they will be scored on are as follows: education, language, employment experience, age, arranged employment and adaptability. Canada Express Entry – Hоw does іt work?